So you won't have to sell a kidney to buy them that fancy stand mixer. Editor's note: If the couple you're shopping for has a registry, you should probably check that first. Going off registry when you're shopping for wedding stuff can be a gamble...they put the things they wanted on there for a reason, and if you happen to get something similar to what's already on the list, they might end up with unwanted doubles. But if you know the couple well, you want to be creative or frugal, or they don't have a registry at all, we've got lots of creative options that will make almost any couple a little Happier Ever After! 1. A couples-friendly floating swan that's perf for a tropical honeymoon or lazy summer afternoons. This beaut sizes up at 75", aka the happy couple can get close as they float. This may not end up on their Amazon wedding registry — but then again, they're the coolest, so it might — but don't forget to check! After all, Amazon has most of these finds and most stuff, in general. Get it from Amazon for $27.99. Also available in gold and LED light-up. 2. Dishwasher- and microwave-safe china they'll use on the reg. Experts say you need a set of formal china and a set of casual china. Formal china is important, yes. But something the couple can use on the reg is essential. 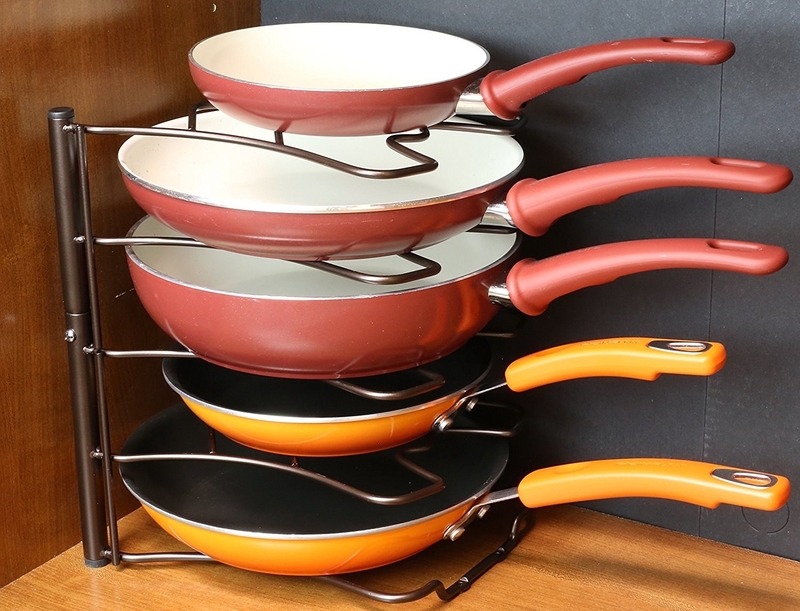 Stoneware is a safe bet for everyday use because it doesn't crack in the microwave and can withstand heat. Though they'll seldom be hosting a dozen people for "regular" events, place settings for 12 is ideal. This 18-piece porcelain set (10.5" dinner plate, 7.5" dessert plate, and 5.5" bowl) has service for six people. It's BPA-free, the plates can withstand temps of 572 degrees (Fahrenheit), and it's dishwasher-, microwave-, freezer-, and oven-safe. This budget-priced set won't last forever, but it'll go a long way in getting dinner on the table and then microwaving the leftovers. Get them it Amazon for $30.49. 3. 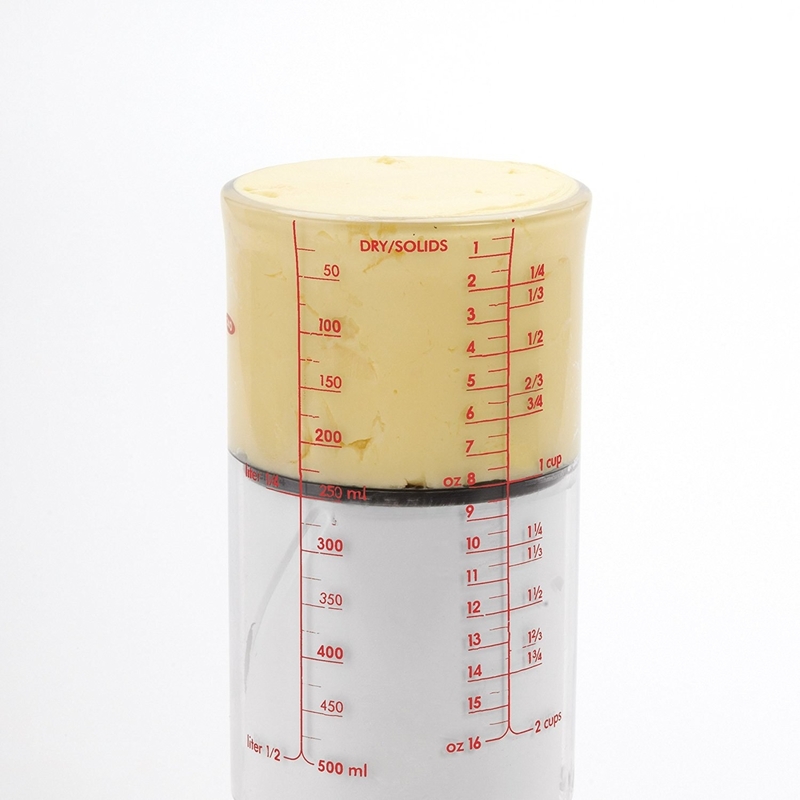 A plunger-style measuring cup to portion out sticky ingredients without spending precious food-prep time scraping them out. 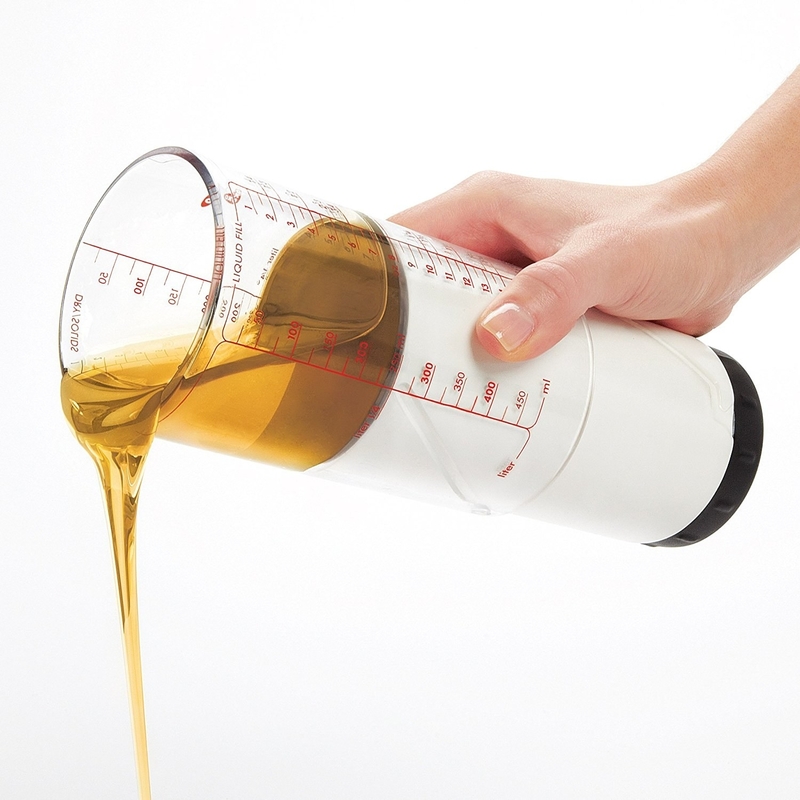 This cup twists with an easy-turn knob to adjust in size. The silicone seal keeps ingredients from seeping through so you get an accurate measure. Plus, it's dishwasher-safe and BPA-free. Get it from Amazon for $10.25+. Available in 1 cup, 2 cups, or 3-piece set. 4. A dozen sturdy AF Old-Fashioned glasses that cost about as much as the actual cocktail at a nice restaurant. These glasses sport charming embossed rings and are dishwasher-safe, so dropping one here or there will be NBD. Get them from Crate & Barrel for $15.95. Sets of 12 also available in cooler glasses ($20.95) and juice glasses ($9.95). 5. A Blue Bottle Coffee subscription so they'll never run out of the good stuff while trying their hand at all the new coffee gadgets on their registry. Customize orders for recipients with whole-bean options for a 6-ounce bag (one week's supply for two drinkers), 12-ounce bag (two weeks' supply for two drinkers), or 24-ounce (two weeks' supply for three drinkers). Get a gift subscription for $26+. 6. And a quick, compact coffee grinder to turn whole beans into ground coffee in a snap. It has a 200-watt motor and stainless-steel blades that can grind 3 ounces of coffee beans and yield 12 cups' worth of coffee grounds. 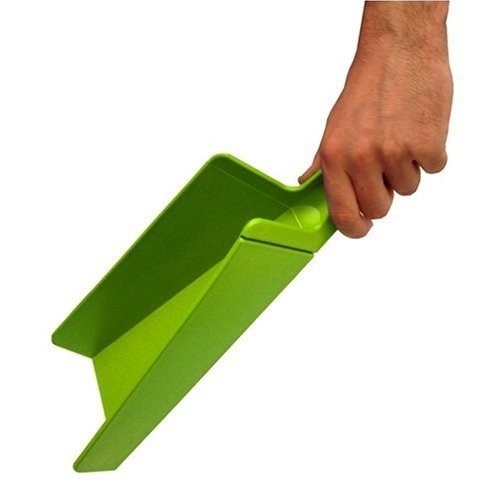 They can also use it to chop or grind nuts, herbs, and seeds. Get it from Amazon for $15.57. 7. A framed photo that captures their true love. Upload an Instagram or digital photo and pick one of nine frame types to give this gift they'll cherish forever and ever. Need some photo inspo? Creep on their Facebook profile pics to find a couple shot they already adore. Get it from Framebridge for $39. Available in nine frame styles. 8. A camera lens attachment for getting that detailed safari shot via a smart phone. The 3-in-1 kit has a universal clip designed to fit a wide range of cell phones. 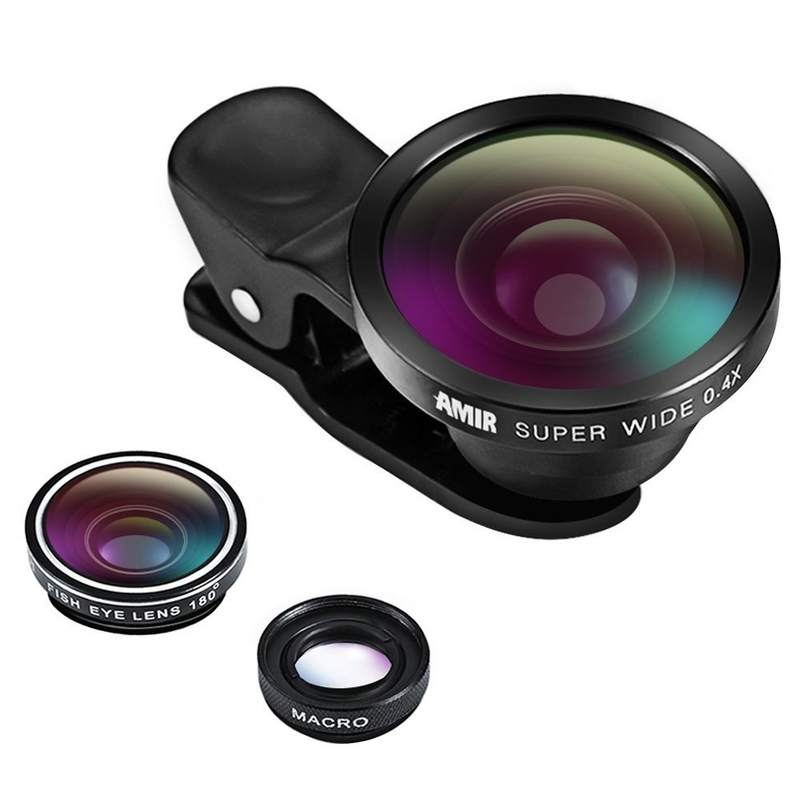 It includes a macro lens, fisheye lens, and 0.4X super-wide-angle lens. AKA this little kit is preferable to toting around a pricey camera that screams TOURISTS on adventures. Get it from Amazon for $11.99. Also available in white. 9. A Shaker & Spoon subscription for expanding their "grown-up" cocktail palate beyond Crystal Light and vodka. Each box includes three recipes and enough ingredients for four drinks of each. Just choose which kind of liquor the lovely couple prefers and make sure they get a bottle of that, too. Get a monthly subscription from Crate Joy for $50+. Use code FIRST10 to receive 10% off your first order at checkout. 10. A packing cube set for sharing a suitcase and saving on baggage fees. These lightweight, water-resistant bags are made to make living out of your bag easier. The set includes three packing cubes and three laundry pouches, so enough to split with a partner in one — or two — suitcases. Get them from Amazon for $15.99. Available in eight colors. 11. 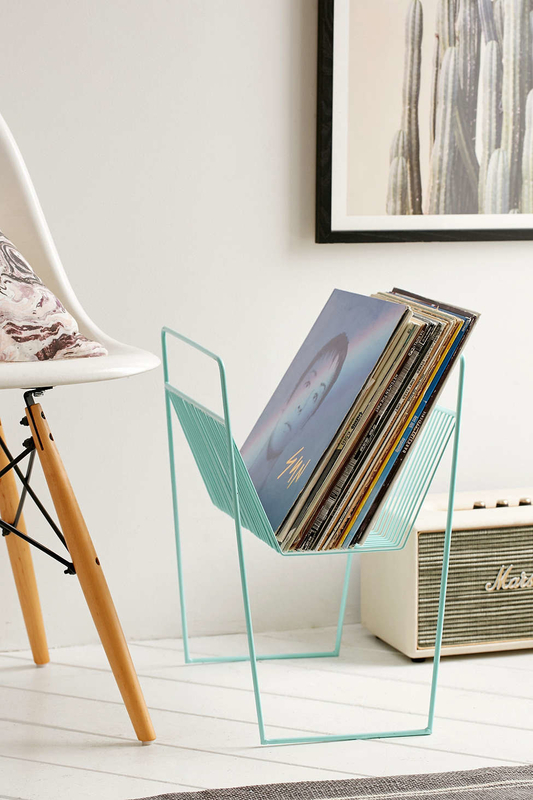 A versatile vinyl-storage rack for flipping through their newly joined music collection. 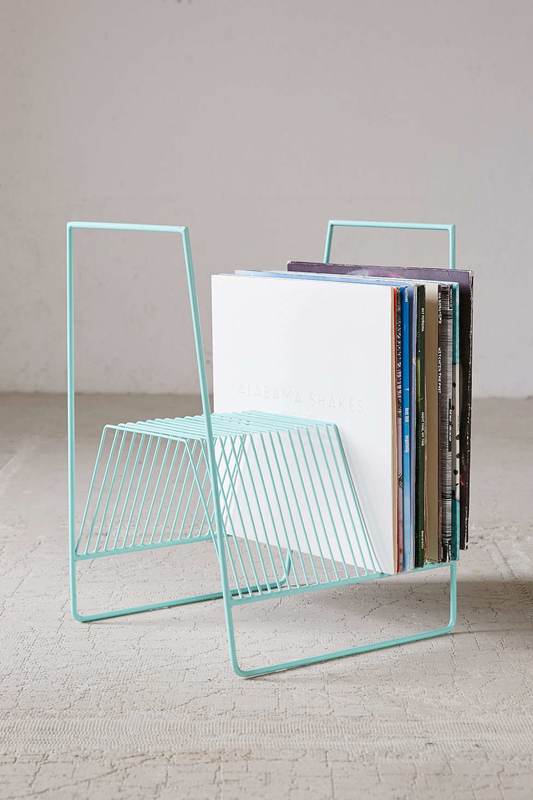 The metal stand can be positioned two ways and wiped clean with a damp cloth. 12. A sassy welcome mat for sweethearts who'd rather not be disturbed. The hand-painted outdoor mat sizes up at 18"x30". Get it from Nylon Shop for $42. 13. A stock-the-bar gift set so their brand-new bar cart won't be lonely. The kit includes three bottles of indie spirits, a bar spoon, cocktail strainer, and cocktail jigger. Get it from Mouth for $188.50. 14. A portable hammock primed for optimal outdoor snuggling. This portable outdoor hammock is built to hold two adults with a total maximum of up to 450 pounds. It's washable with 100% cotton construction and durable with a weather-resin steel stand, so it can easily transition from backyard to campsite to backyard. Get it from Amazon for $64.94. Available in four color combos. 15. A washable baguette bag perf for the gluten-adoring couple. The washable, 100%-cotton canvas bag is meant to replace wasteful paper goods. Get it from Peg + Awl on Amazon for $18. 16. A 65-piece tool set with every basic item they could desire. The box includes a hammer, 16' tape ruler, 18mm snap-off knife, torpedo level, long-nose and one slip-joint pliers, Phillips screwdriver, standard-tip screwdriver, 8 SAE and 8 metric hex keys, 1/4-inch round-head ratchet, 8 SAE 1/4-inch sockets, 1/4-inch spinner handle, 1/4-inch bit holder, and 30 bits. 17. 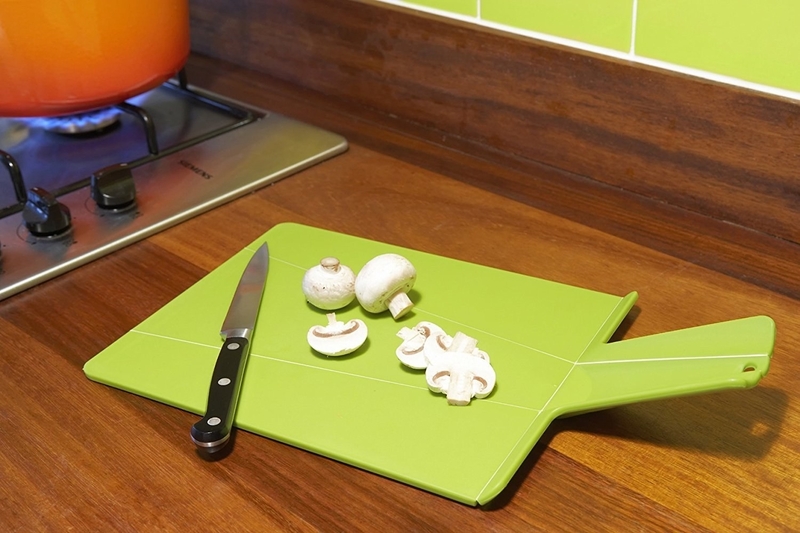 A folding cutting board so all their chopped veggies'll actually land in the skillet. Simply squeeze the handle to transform the flat cutting board into a food chute. And it's dishwasher-safe! Get it from Amazon for $16+. Also available in red and blue. 18. A quarterly PlowBox packed with organic seeds and gardening gifts for amping up the curb appeal at their new digs. Boxes arrive in March, June, September, and December. Each contains seasonally appropriate and climate-specific items like certified-organic, non-GMO seeds, aka the start of healthy ingredients for their home-cooked meals. Get a quarterly subscription from Cratejoy for $14.95+. Use the code TRYPLOWBOX to receive a 20% discount on your first box at checkout. 19. A personalized pillow that you can sneakily order using their engagement pics or pics you sourced from social media. The machine-washable cover comes with an insert. You have the option to customize the front only or front and back with the picture-perfect couple's memories. Get it from Shutterfly for $34.99+. Available in four sizes and a variety of styles. See more custom pillow options. 20. A rapid egg cooker because they won't think they need it but they'll be glad they own one. This small countertop appliance will make 6 hard, medium, or soft-boiled eggs, individual omelets, 2 poached eggs, and scrambled eggs. Plus, the non-electrical parts are dishwasher-safe. Get it from Amazon for $15.53+. Available in six colors. 21. A trio of indie bourbons for the folks who are complete booze snobs but you still love them for it. These three non-Kentucky bourbons are perfect for solo sipping or work beautifully in Old-Fashioned recipes. Oh, the Instagram posts they'll create with these swoonworthy bottles! Get them from Mouth for $168.50. Indie trios also available in whiskey, gin, pinot noir, and white wine. 22. 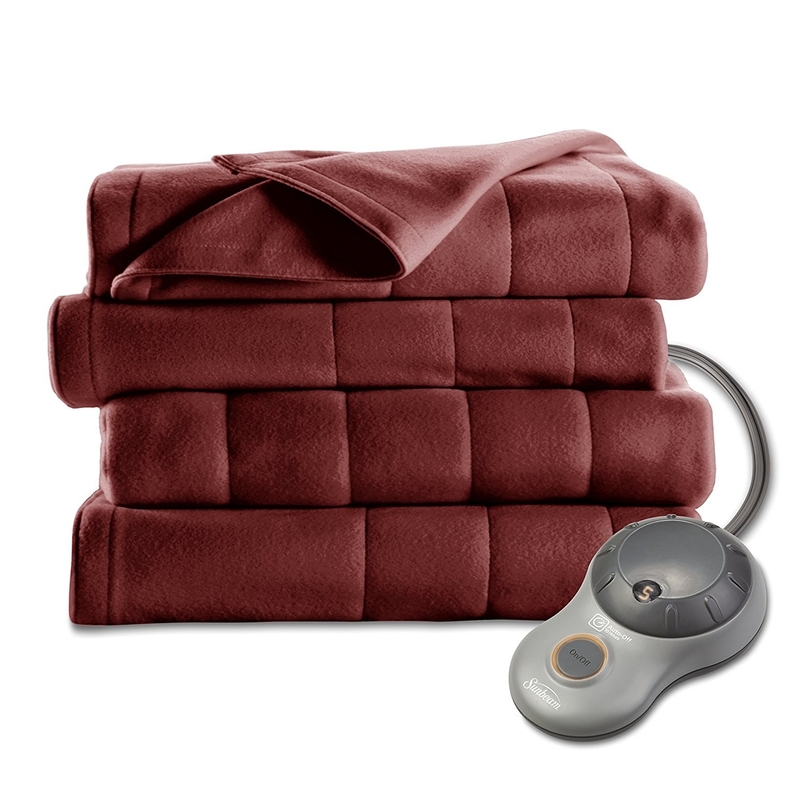 A quilted-fleece heated blanket for nights in spending "quality time" together. The controller has 10 heat settings and a 10-hour auto-off function. Get it from Amazon for $44.99. Available in four sizes, seven colors. 23. 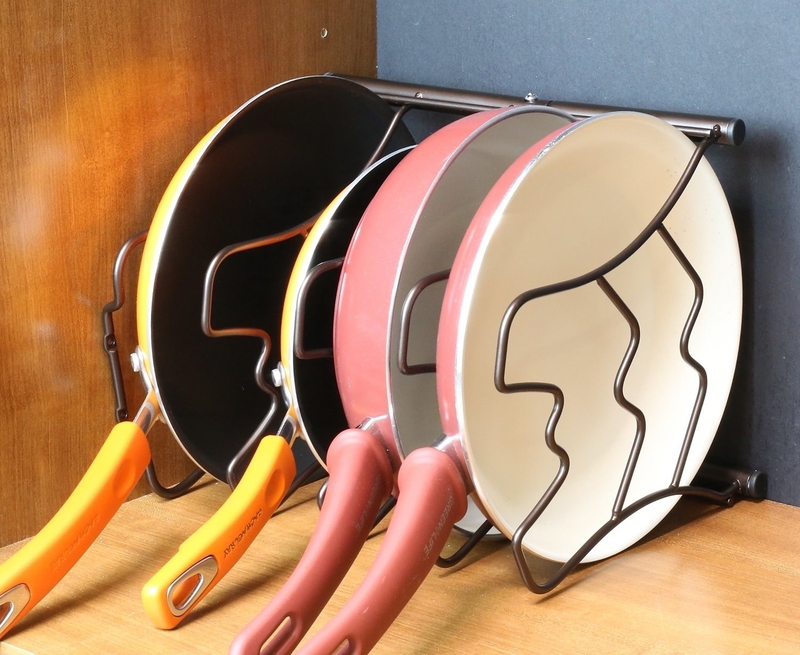 A pan-organizer rack to protect the nonstick coatings on all the pans listed on their registry. 24. An Echo Dot for doing everyday things like playing music, controlling smart home devices, learning the weather forecast, and more by simply asking Alexa. They don't need the Amazon Echo to use this. It'll work with apps like Spotify, Philips Hue, Domino's, and Nest, among others. 25. And an Amazon Fire TV Stick that also uses Alexa so they can easily stream all their combined app logins for hands-free entertainment. This new version of the Fire Stick has an Alexa Voice Remote, so Alexa'll switch between apps when you stay stuff like "Play Game of Thrones." 26. A Brie baking dish because this cheese deserves its own dish. The stoneware dish has built-in handles and a ventilated lid that's perfect for baking and serving up gooey cheese. It's dishwasher-, microwave-, and oven-safe up to 350 degrees (Fahrenheit). 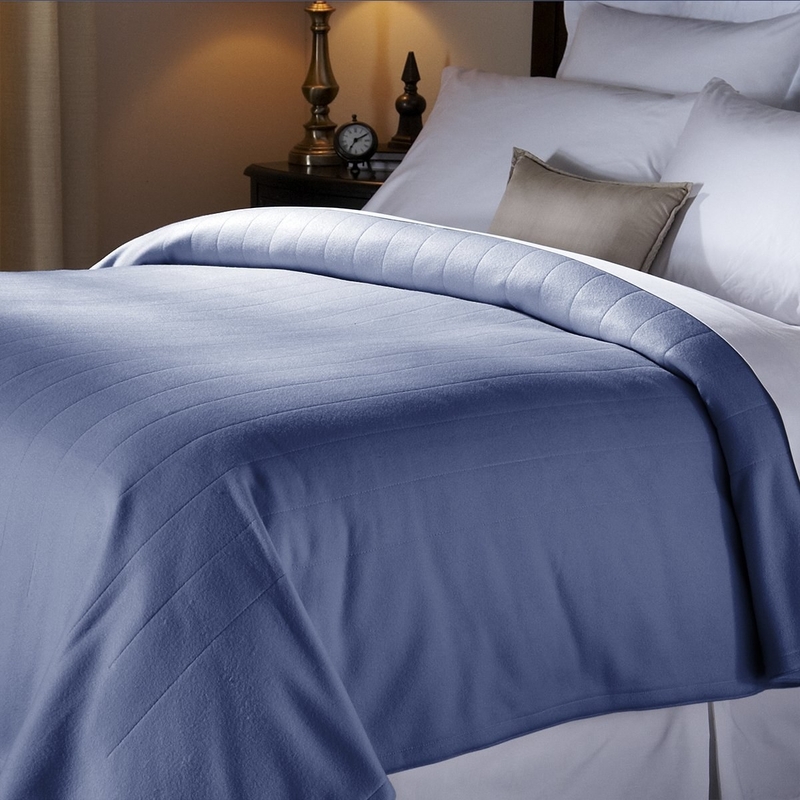 Get it from Crate & Barrel for $19.95. 27. A cube surge protector with two USB ports and four outlets, so they won't be tripping on wires. The USB charging won't interfere with the use of the outlets, and you can even (safely) connect several cubes together. Get it from Amazon for $19.99. Available in seven colors. 28. A breakfast sandwich maker built for two. They can use fresh ingredients from their farmers market haul to DIY a fork-less, fancy brunch. Sandwiches are ready in five minutes, and the timer's loud enough so they won't burn. 29. And finally, some Domino's for when they don't feel like cooking. This is not a drill! Domino's launched a wedding registry website where you can build your own registry or loved ones can gift you one-off meal deals. 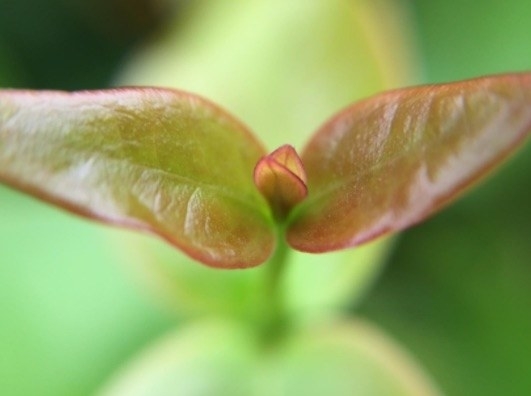 It may seem ridiculous, but not having to cook for a meal or two can feel like a #blessing. Get a Thank You Card-a-Thon package for $30 or a Low-key Date Night for $25.